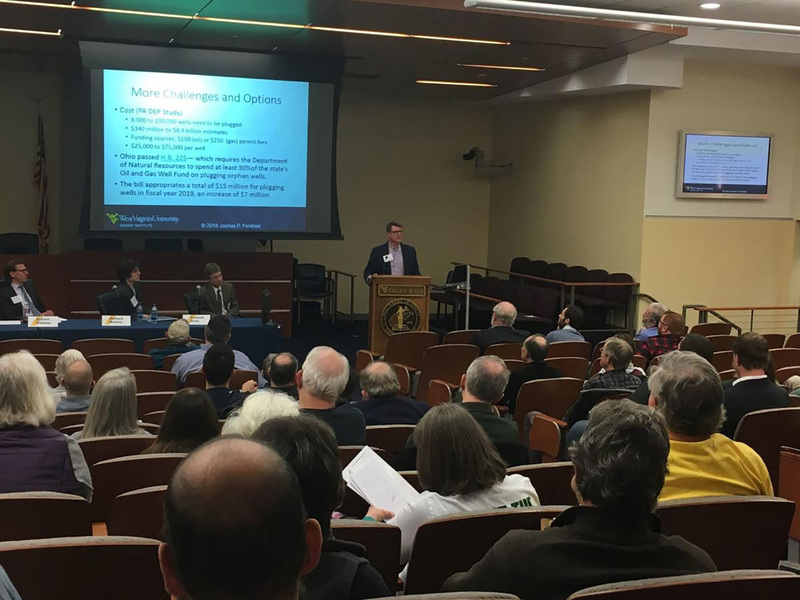 Joshua Fershee, law professor at West Virginia University, speaks about methane emissions during the 2018 National Energy Conference, in Morgantown, Saturday. MORGANTOWN, W.Va. — At some point during a semester at the University of Maryland, Professor Dylan Selterman presents his students with an opportunity for extra credit: They can opt to get two points of extra credit, or six. But if more than 10 percent of the class chooses six points, no one gets points. He didn’t come up with the exercise himself. It was developed more than 25 years ago, and Selterman uses it now to teach his students about how our decisions impact other people. Specifically, it illustrates how our choices can impact the effects of climate change. Normally, his students fail the challenge, and no one gets points. 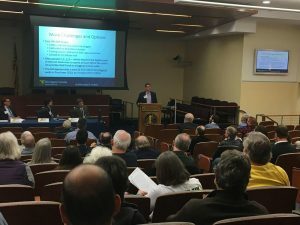 He used the same example Saturday morning at the National Energy Conference, held at West Virginia University’s College of Law. The daylong event was also hosted by the Appalachian Stewardship Foundation and Friends of Blackwater.